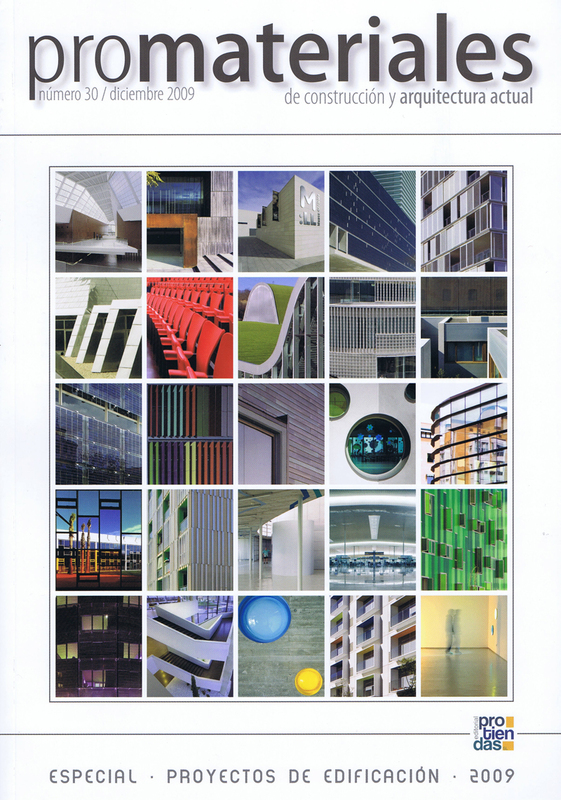 SOMOS ARQUITECTOS PUBLICATIONS: PROMATERIALES Nº30. PROJECTS SPECIAL ISSUE. PROMATERIALES Nº30. PROJECTS SPECIAL ISSUE. SOMOS.arquitectos published in PROMATERIALES Nº 30, 2009.12. a special issue about projects, including 123 social housing in Vallecas 51 in the front cover.